Since the formation of the Premier League, three ‘defensive’ players have won the PFA Player of the Year award, including its current holder N’Golo Kanté. On the other 22 occasions, the prize has rewarded midfielders or forwards, often those who in a single season made some sort of lasting impact. Among the previous winners are Eric Cantona, Dennis Bergkamp and the Invincibles-vintage Thierry Henry – players who came to shape and define attacking play in English football post-1992. All the previous winners were lauded for their talents at the time, all were ultimately recognised by their peers, but each and every one of them, at this rate, will be outscored by Mohamed Salah. That is, quite simply, how incredible Salah’s individual season has been. Only three previous Player of the Year winners even come close to the level of raw production he has shown this year. The first is the brilliantly-effective Alan Shearer, who scored 34 goals and set up 13 in Blackburn Rovers’ title-winning 1994-95 campaign. Back then, however, the fledgling Premier League was still a 22-team division with a 42-game season. The best Shearer ever managed in a 20-team, 38-game campaign is 31 goals, a record matched by 2007-08’s Player of the Year Cristiano Ronaldo and his 2013-14 equivalent Luis Suarez. Whereas Ronaldo registered just six assists in his outstanding year, Suarez laid on 12 goals for his team-mates, and were it not for him missing Liverpool’s opening five games through suspension, the Uruguayan would most likely have set new, seemingly-insurmountable records of his own. Still, each can only be judged on the record they actually posted, and Salah is likely to outstrip all of them. The Egyptian currently has 28 goals from 30 Premier League games, as well as 10 assists to his name. Extrapolated over Liverpool’s final seven games, Salah is on course to finish with 35 goals and 12 assists – a record marginally better than 1994-95’s Shearer, a Shearer who has four games more to score and assist in. 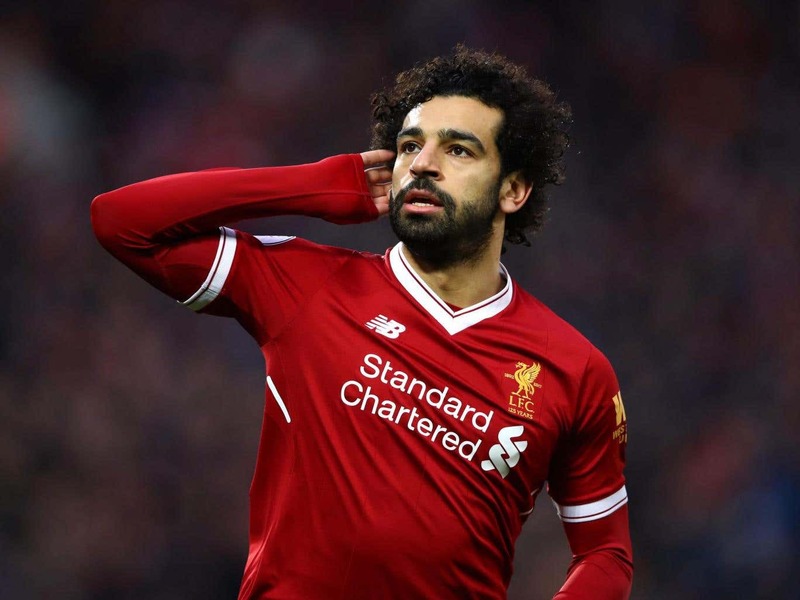 We are witnessing one of, if not the greatest individual Premier League season so far, so why then is Salah not the favourite to join Cantona, Shearer, Bergkamp, Ronaldo and Suarez and win the Player of the Year award? It is at this point where we have to consider the exceptional talents of one Kevin de Bruyne, and also what we take the phrase ‘Player of the Year’ to mean. If we hone in on the ‘player’ aspect and seek to reward the top flight’s best all-round footballer, then it becomes hard to make a case against De Bruyne – the outstanding player in the Premier League’s outstanding team. De Bruyne has attained a truly special level this season, playing with both artistry and authority, transforming even contests into emphatic victories with one flick of his paintbrush. He is a more complete footballer than Salah, certainly, and should not be punished because his impact is slightly more subtle. If we choose to focus on the ‘year’ aspect a little more though, we should consider whether a player’s achievements are exceptional, unexpected and whether – like Cantona, Bergkamp and Henry before – they will leave a lasting impact. Pep Guardiola’s use of De Bruyne and David Silva this season will alter the way others think about central midfielders – both were once considered No 10s and are now used as No 8s – but this new role at least has a name. Nobody is still quite sure what to call what Salah does.He takes up scoring positions like Shearer – a six-yard box poacher – yet cuts inside from the flank, like Henry before him. As discussed, he is likely to beat both of those players in terms of end product and perhaps we will be able to settle on something better than ‘inside forward’ once the other 19 Premier League clubs have tried to find their own version. It should also be remembered that, given how his first spell in England went, few saw this coming. Salah has every chance of matching or bettering this season’s haul next year too, but maybe because of his status as a relative newcomer, one more 30-goal plus season seems slightly less likely than another City coronation with a certain Belgian pulling the strings. De Bruyne’s displays this year feel like part of a dynasty. Salah’s are more ‘of the moment’, the sort that we should stop and recognise, lest they pass too quickly. After all, as the records of those previous winners show, seasons as remarkable as the Egyptian’s do not round come too often.